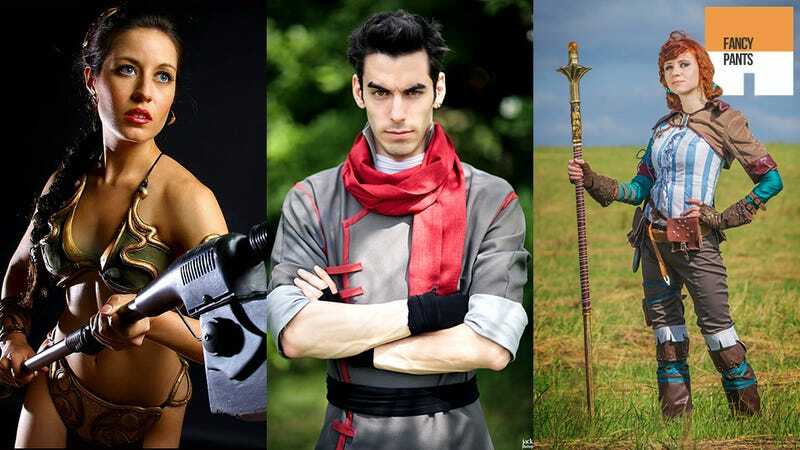 This is one of the best cosplay gallery's we've started the week with in a long time. I mean, we have someone cosplaying as The Witcher 2's Triss. There's someone doing an awfully good interpretation of Fujimoto, the slightly creepy underwater dad from Ponyo. There is also someone dressed up not only as Crisis Core's Zack Fair, but also the chocobo Zack is riding. Also: I don't know why Korra cosplayers seem so damn talented, but I like it.